In my last article I shared how providing good customer service should never be your goal. Instead, a company should focus on fostering a culture of excellence. Excellent customer service flows naturally from a corporate commitment to excellence in all areas. Over the course of the next few blogs I am going to talk about how excellence shines through in varies customer service settings. Letâ€™s start at the beginning of a customer service relationship, with Implementation. Implementation is a lot like staging the Broadway musical Hamilton. There is the cast, the crew, the audience, the musicians- people by the hundreds, not to mention all the costumes, props and stage sets. Everyone and everything must work together to transform these many moving parts into a seamless performance. The keys to a flawless implementation are the same as the keys to successfully staging a Broadway hit: commitment and communication. Itâ€™s all about being all-in. Lin-Manuel Miranda spent several years writing the script and lyrics for his Tony award winning production Hamilton. He was all-in. His cast is all-in. His crew is all-in. Even a great play will fall flat if everyone involved in its production is not all-in. When one company decides it can best achieve its goals through the implementation of the product of another companyâ€™s you have corporate commitment. That commitment must filter down to the implementation teams. Teams need clear goals and to be held accountable for meeting those goals. On the set of Hamilton the lighting team and the costume team both understand how they contribute to the overall success of the production. They understand the vision of the writer, director and producer. In the same way, each team in an implementation must understand their own role and how that role fits in with the overall plan. Just as the show canâ€™t go on if any one of the teams decide to sit the night out, the implementation can fall apart if each team isnâ€™t completely committed to propelling the project forward by fulfilling their role. The same is even truer for the individuals, whether they are the actors and musicians or the technicians and trainers. Each individual must be committed to fulfilling their role with excellence. They must know their lines or roles thoroughly and they must understand how their actions impact the project as a whole. Committed individuals join together to form committed teams that advance the vision of their leader, whether their leader is Lin-Manuel Miranda or a CEO. 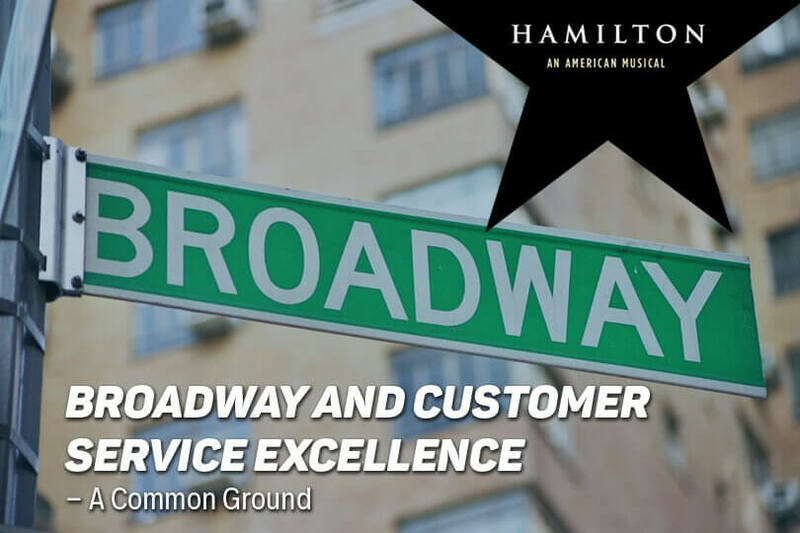 The bigger the project, whether a hit Broadway show like Hamilton, with more than 200 people involved, or a complex implementation, the more critical excellence in communication is. Be sure everyone who needs to be in the loop is- and no one who should not or need not be- is kept out of the loop. Who you donâ€™t talk to is as critical as who you do talk to. If you want to ensure that your emails are actually opened and read by the recipients, keep your communications as short and direct as possible. There is a fine line between giving enough information and overloading people with details, so remember who you are communicating with and what their â€œneed to knowâ€ level is. The information you share with the ERP tech team will be more detailed and very different from the information you will need to share with the HR training team. Be sure to establish early on who will be included on the various communication threads. Stage managers keep everyone on track during a show. They are the behind the scenes organizers who make everything that happens on stage look seamless. Your implementation can also benefit from having a â€œstage managerâ€ or point person for both the service provider and the client. These are the people who will coordinate all communication to ensure that every step of the way is coordinated, planned, tracked and documented. These are the people who will hold everyone accountable. Whether staging a Broadway smash like Hamilton or coordinating a corporate implementation, you need to get everyone all-in and all-together. To foster that, you will need to communicate clearly and appropriately to the right people. Once you have selected your point people, defined your communication threads and structured your communication plan with a team that is all-in, you have set the stage for a successful implementation.